Michael Jaskson just died. During his life, full of sensation, even when a new die. Yesterday some visitors flooded the site because the search for more information about the rockstar Michael Jaskson. Netter busy Googling or searching for information from the site search engine Google. Google said to the BBC, millions of people find the name of Michael Jaskson in a matter of minutes each. Even search engines have had errors. Twitter is also a problem, suddenly appeared 65 thousand names Michael Jaskson. 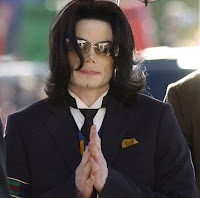 Wikipedia also affected, when the fans Michael Jaskson find most new news there. Site not only large sites, news sites are also flooded search news over the death of Michael Jaskson. Such as AOL, CBSN, CNN, MSNBC and Yahoo when it had broken the news Jaskson Michael died.